Q1. What sexual orientation do you identify with (gay, bi, transgendered, queer – use any terms you like here)? I identify myself as gay. Q2. When did you first start to define your identity as such? I remember that I used to fantasize about the boys of my class instead of the girls. My first ever crush was, when I was in kindergarten. 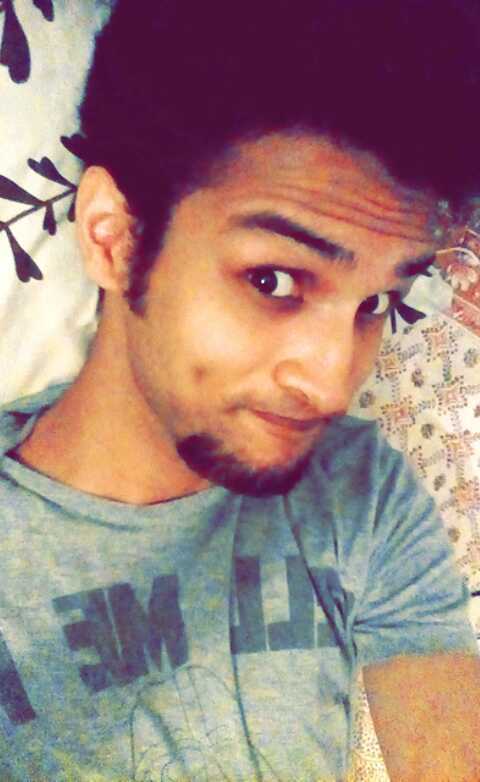 His name was Ashu. His mother was a teacher and he was the cutest guy in our class. I cannot seem to forget his name and his smile. I was 17 when I finally accepted my sexuality. Q3. Have you experienced first-hand trans/homophobia? If yes, how did you deal with it? I have experience homophobia at every sphere of my life. There have been instances where people have bashed me for even talking about it to my college mates. We were in a metro in Delhi and when those people were trying to silence me up, my mates, being new to the idea of it, were trying to tell me to calm down. However, every time a homophobic person tries to shut me up, I fight back with the knowledge that I hold and end up silencing them as they lose all the grounds on which they can fight. Be it science, culture, religion, legal status, they actually have no knowledge. Hence, I think, knowledge is the best weapon against such people. Q4. When did you first out yourself? For the first time, I came out to someone was in the year 2012. Q5. Was it unplanned or was there careful planning involved? It was planned to some extent. Q6. Who did you come out to & why did you come out to that person? I came out to a friend of mine. I used to talk to him about alternate sexualities and gender identities. He had a very open mind and was always eager to learn the things he didn’t know. Once, I was sure that he will understand me; I decided to come out to him. I did because I was going through a lot of things in my life and I had no one to talk to. I needed a person who will listen to me and will understand me. A person who will not judge me, but will rather be with me. Q7. How did that person react? He was really supportive. He told me, Divya you have taken a step towards a battle, which will go throughout the life. I will always be there for you but only if you are there to fight for yourself. Q8. Did your coming out change anything about your relationship with them? Yes, coming out to him changed a lot of things between us. We were classmates and friends earlier. But after that we became best friends who will always be there for each other’s ups and downs. People in college knew that we may end up fighting real bad at times but my best friend will never let me go without me smiling once again. Q9. Have you ever been outed without your consent? If yes, how did you deal with it? Yes, I was outed to my family without my consent and that was done by one of my sisters, who happened to find out about my identity. My father told me to change myself and practice yoga. I did. He had expected yoga will change me, however, it just made me more confident and allowed me to make peace with my inner self. I finally decided to move out and work for myself and earn the respect in this society, which will make my family believe that the world has moved ahead. Q10. How did the people you were outed to deal with it? My family cursed their upbringing. They couldn’t figure out what went “wrong”. 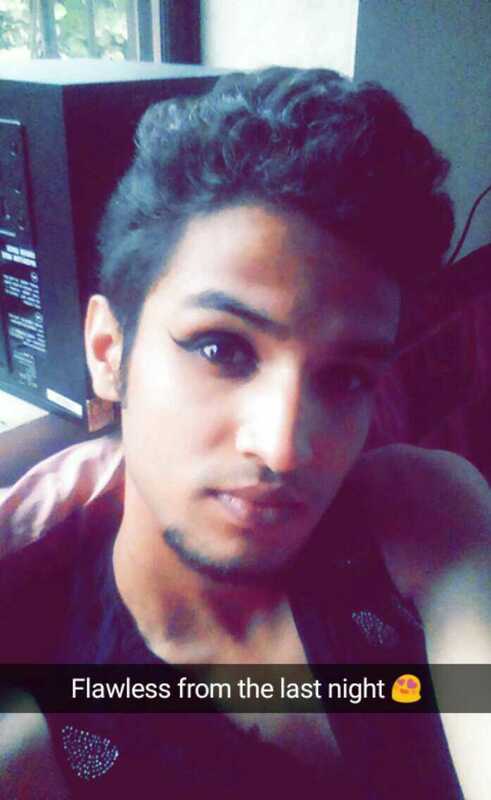 They thought being gay is equivalent to being “hijra”. They were looking for “cure” to “help” me. When nothing helped, my parents asked me to look after my expenses. All the things that I used to do earlier, nothing changed. But every thing became more irritating for them. Every matter became a matter of fight. They started believing, that I did not want to talk to them. Even though they were never interested in knowing about “my life”. Whereas, everyone else had already accepted me. So my whole life had taken a turn where I could talk about my life with others but those were the things my family would not listen to. So I used to talk to them about the rest of the things and for them it was not enough. Q11. Do you think being gaysi makes it harder to come out & that if you weren’t part of such a traditional & conservative culture you would have an easier time with your sexuality/identity? Yes, it is difficult to come out in such a society because you are constantly oppressed and hated. You are forced to “change” yourself. I think, if the society would have been more liberated and open, there would not have been the need of “coming out”. Imagine a world where people are allowed to love whoever they want to, as long as it is not causing any harm to anyone. There will not be a need of coming out or hiding in the closet. It will reduce half the cases of depression, I believe in this very strongly. Q12. Would you recommend that people stay in the closet or come out? I believe, coming out is one’s personal choice. However, for me, that closet was dark, haunting, painful, full of tears and sadness. I personally did not want to stay there. I am thankful to my sister that she got me outed and liberated me from the burden I had been carrying for so many years. After I got outed, I have always moved forward, in the light. Q13. One Bollywood Celebrity you would love to see coming out as gaysi? One Bollywood celebrity would be Imran Khan. His smile is worth dying for. Q14. Your favourite queer-themed movie? My favorite queer themed movie has to be Prayers for Bobby. Q15. Your favourite queer-themed book? I don’t know if it’s a queer themed book or not however, I love V for Vendetta. Interview Aam Gaysi : I Remind Them, It’s 2017! Keep Up With The Times! 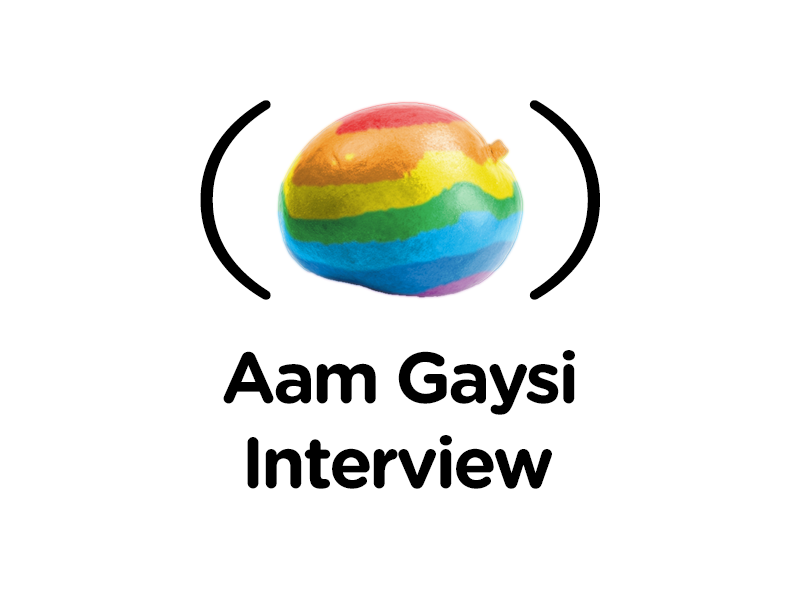 Interview Aam Gaysi : Don’t Worry, Just Khao Pio Aur Khush Raho! Next post Copy-paste or Sabotage?